A dozen firemen were trapped for hours on the rooftop of a burning Mumbai high-rise after a fire they had put out started again. 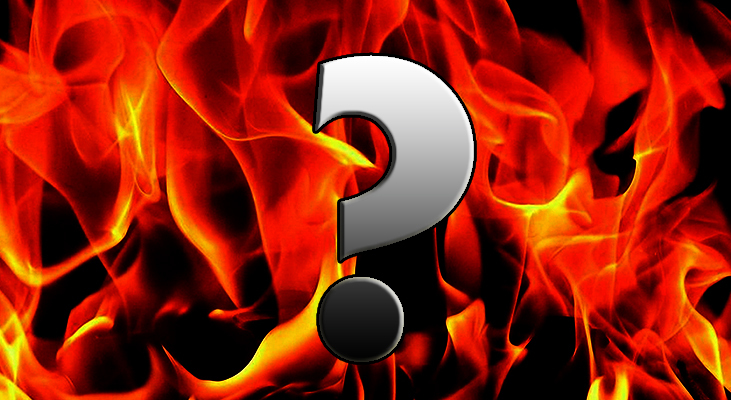 One fireman died reportedly due to the smoke. 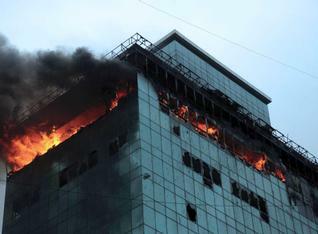 The blaze started on the 21st floor of Lotus Business Park on Andheri Link road, and later spread to the 20th floor, according to fire brigade officials. An independent fire audit cell will be created for the purpose and strict action will be initiated against those who fail to comply with the safety norms put in place by the civic administration, he said. Fire fighter Nitin Ivalekar had lost his life and 20 of his colleagues were injured while trying to douse the blaze that broke out in Lotus Business Park, a 22-storey building in suburban Andheri. 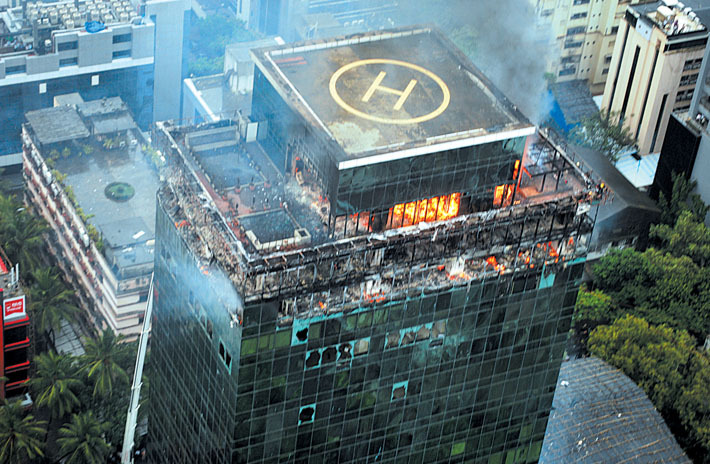 The firemen were trapped on the roof of the building and had to be evacuated with the help of Navy and Coast Guard helicopters. In the wake of this incident, it has now become imperative for the MCGM to take precautions and conduct safety checks periodically to ensure innocent lives are not lost in fire mishaps, Prabhu added. According to an eyewitness, the fire spread fast and continued unabated even as many firemen were trapped on the top floor of the building. Some were dangling from a scaffolding to save their lives. As the situation worsened, the Navy and Coast Guard helicopters were called in to rescue them. Talking to the press, regional command director of fire service, SH Nesrikar said, “As many as 33 of my men were stuck when the fire reignited. They were coming down as this happened. 10 people decided to go upstairs. One of them was rescued by the navy. 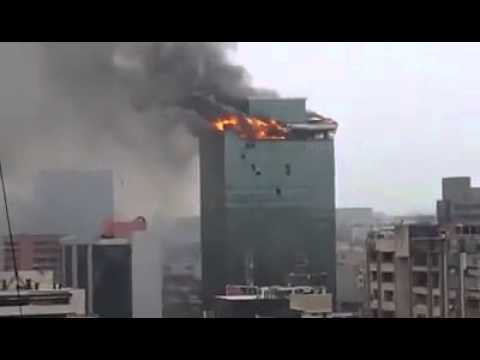 “I decided to call in for the navy and coastguard as we needed aerial help.” Nesrikar also mentioned that the fire fighting equipment in the building was dysfunctional. The horrific incident poses several difficult questions about Mumbai’s infrastructure; whether the glass facade of new skyscrapers are posing a challenge, with glass shards becoming an added threat.